At Dorian Construction Group, we see each backyard as a canvas of possibilities. 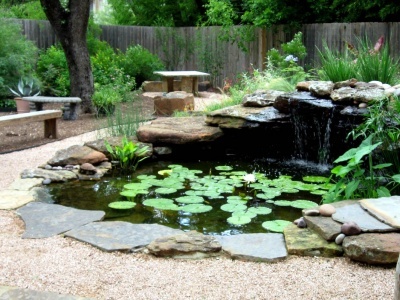 Whether for landscaping, water features, or outdoor living, we can bring beauty to any backyard. There is no limit to the types of backyard transformations we can create for you. If you are looking to completely transform your backyard or renovate what already exists, then we will make it happen. We specialize in designing and building a full-scale backyard with any combination of amenities. As a result, every detail of our total backyard makeovers is carefully crafted from start to finish. Imagine your outdoor living space looking just the way you’ve always wanted- a pure luxury home paradise. While there are plenty of different design options for you to choose from, we encourage you to consider all the possibilities. So, place no borders on your imagination, because we don’t. We are skilled at making any type of transformation happen, just the way you want it. At Dorian Construction Group, we specialize in vast types of backyard renovations. From pools and spas to outdoor kitchens and fireplaces, we can do it all. However, one thing we don’t do are cookie-cutter makeovers. Dorian Construction Group is far too talented to take on any project that won’t leave you speechless. We apply the highest quality products and materials into our designs to ensure the best in both quality and aesthetics. We will take your dreams and vision and make them a reality. Your backyard should be as original as you are. We can make this a reality. No matter what you have in mind, Dorian Construction Group will work hard to keep your dreams alive. Customize Your Backyard Paradise Today! Dorian Construction Group is committed to the design and construction of any style and vision you have for your backyard. We customize our swimming pools, waterfalls, spas, and more to match your expectations. Our full-custom backyard transformations are the perfect blend of function and beauty that’s yours to access anytime. Since we have decades of experience in the industry, we are more than confident in our ability to deliver the results you expect. If you’d like to discuss your vision with us, we can setup a free consultation. Call us today! *Landscaping only applies to entire backyard makeover / transformation projects.